Schumacher Cargo UK has been handling international shipments to the UK from the USA, and vice versa, for over three decades. Our UK shipping services frequent the port of Felixstowe, as Schumacher UK’s office is located in Suffolk, England. Felixstowe is the UK’s busiest port for containerized cargo. The vast majority of shipments to England, Wales and Scotland are shipped here and this is also the port for services from the UK to one of our 5 US locations. **Southampton and Tilbury are also available as port options depending on sail schedules and shipments. What Are You Shipping Overseas? Whether you need to move your family from the U.S to London or have your Harley Davidson shipped to Belfast, the dedicated professionals at Schumacher will help you with any questions you may have regarding your shipment. 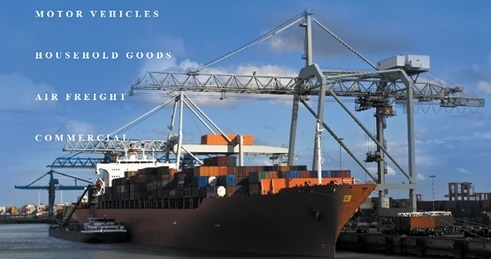 In addition to motorcycles and household goods/home relocation, we offer car shipping to major cities, overseas boat and yacht transport and also removal services. Our international shipping services to the UK even cover pet transportation and relocation. International shipping rates for the UK will range depending on the contents of your shipment, which U.S port the ship is leaving from and where your goods are headed in the UK. We look forward to helping you plan a successful and smooth move out of the U.S. and into your new English home! More than 189,000 Americans have moved to England.